There were all kinds of perks about working full time at ToyFare. Of course, knowing what would be coming out before just about everyone else is high up there. Also, all the people were really cool and ridiculously easy to work with. 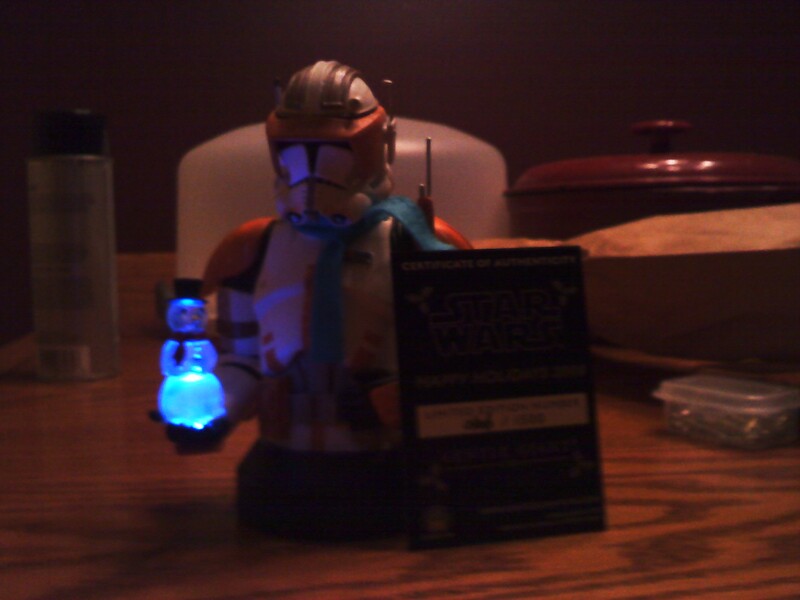 And of course, getting cool stuff like this Christmas-themed Commander Cody bust with scarf an light-up snow man in his palm from Gentle Giant ranks pretty high up there. Thanks to me misplacing this bad boy last year, this is the first Christmas in which Cody will be joining the rest of our decorations. Heck, I didn’t even know he lit-up! Awesome right? Right! 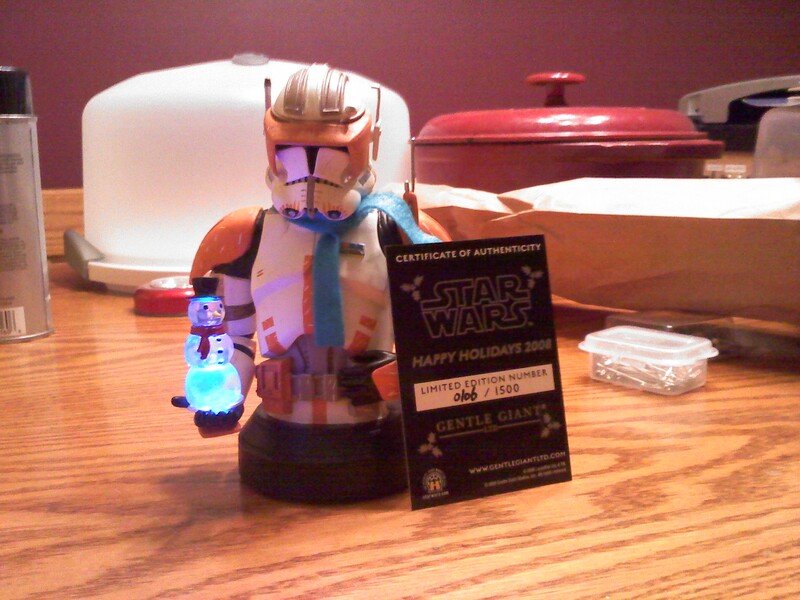 Belated thanks to Gentle Giant and Ashly for making it easier for me to geek-up my Christmas decorations. Oh, also be on the lookout for this year’s Christmas Village, which Em put up over the weekend and I filled with MiniMates last night. I just need to snap the pics.